Our reliable vendors provide us optimum quality raw materials and components in order to deliver the Shrink Tunnels of the best quality and which are durable and long lasting in nature to our valuable customers from all over the world. We are engaged in offering Shrink Tunnels in accordance with the international quality of standards and also at pocket-friendly prices. With years of experience in this domain, we are able to manufacture and also to supply the best quality products to our national as well as international clients. Frontal Feeding Auto Web Sealer and Shrink Tunnel are acknowledged for its high durability, reliability, longer service life and also long lasting nature. 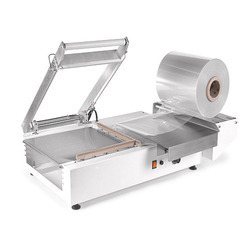 We are engaged in Frontal Feeding Auto Web Sealer & Shrink Tunnel at par with the international standards and also at market leading prices. 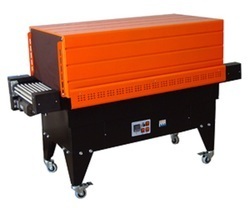 We offer of automatic L Sealer with shrink tunnel. This is high-speed conveyorized l-sealer. 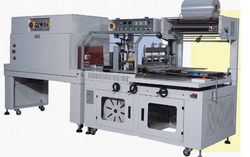 It is provided with a special hot knife sealing system for accurate seal and cutting.These automatic combination L sealers are acknowledged for their reliable service life. Our technologically advanced PP5300 has a tunnel built on the same frame. It can finish all actions automatically such as covering with film, sealing, shrinking and so on. The bag length is controlled by photoelectric stepping motor; shrink speed is controlled by step less; HMI and PLC control the whole machine. The malfunction can be shown automatically when machine running. 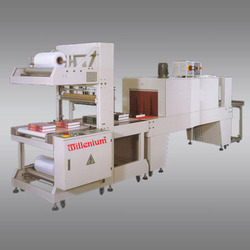 It can be used separately or in line with automatic cartooning machine and case filling machine. The range of Automatic L Sealers and Tunnels offered by is used for sealing of light and heavy duty packaging in various industries. 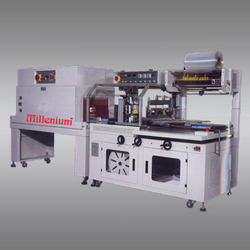 This machine is widely known for instant heating and featured with power shut off during idle running. Our production team utilize only superior raw material in the fabrication process of the machines. The Shrink Tunnels offered by us is featured with transfer brush, discharge brush, date printer and gusseting which assure outstanding performance to the consignments. 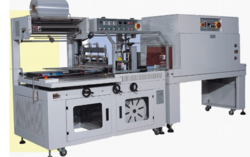 This range of machines is used to pack various solid products including biscuit cakes, candy, stationery, disposable syringe, bread, chocolate, ice bar, instant noodles, soaps, bottles and machine parts. 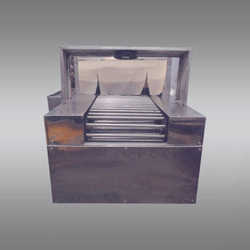 We use only tested raw material to fabricate the machines to deliver a satisfactory range of products to the customers. Our organization can meet the over growing requirements of our customers from all over the world by providing them High Speed Side Sealer of different types, sizes, grades as well as exact specifications. Our team of experienced professionals keeps in mind the demands of the clients and helps us in manufacturing as well as supplying the best quality products to our clients also at pocket friendly prices. 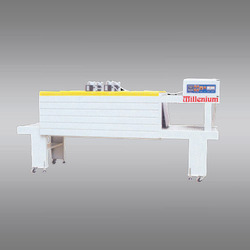 We introduce ourselves as an eminent manufacturer and supplier of L Sealer Machine. 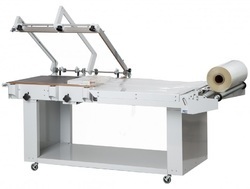 We introduce ourselves as an eminent manufacturer and supplier of Automatic L Sealer Machine.